Laval’s Nathan Simeon is taking his talents to Orlando, Florida. The 18-year-old center-back is going to Montverde Academy and Orlando City Academy. 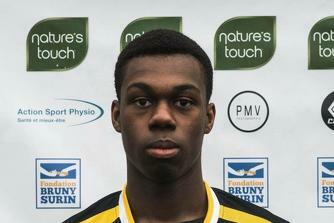 Simeon was recruited out of the Montreal Impact Academy. He’s played for Center-Sud, Fabrose “AA,” Chomedy “AAA,” and he finally switched two years ago to St Laurent before joining the Orlando City U19 Academy. The time spent with the Montreal Impact’s academy put him on the path to earn a scholarship. He started playing soccer at the age of four and can even remember wearing his first gold coloured jersey with the number 10. The shirt was too big and baggy going all the way down to his knees, but Simeon wanted to wear the number 10 no matter what because it was the same number his childhood idol Ronaldinho wore. Simeon can be described as having great athleticism and determination. He’s gifted with a combination of speed and agility which is hard to find. His dream is to one day play professional soccer. “I’d like to improve my technique, I feel that if I’m able to close the technical gap between me and the players that have played years in professional academies, I’ll be one step closer to becoming a professional,” said Simeon. Right now, the main focus for Simeon is getting to the Orlando City Academy and performing to the best of his ability.